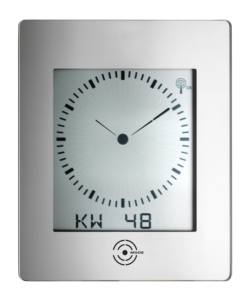 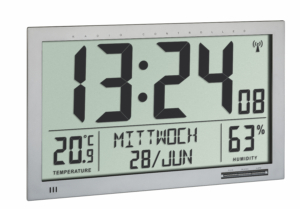 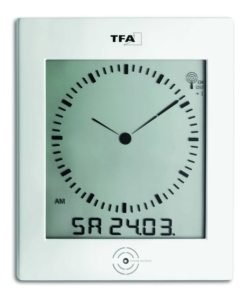 The special feature of this modern radio-controlled wall clock from TFA with large, inverted display is the automatic backlight with day-night mode. 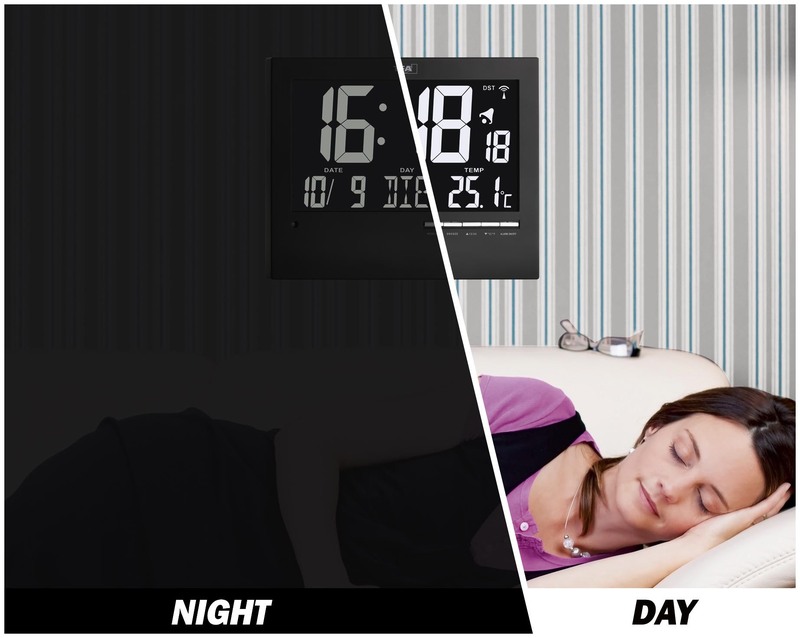 The built-in light sensor registers when daylight is no longer sufficient and, if desired, activates a subtle light. 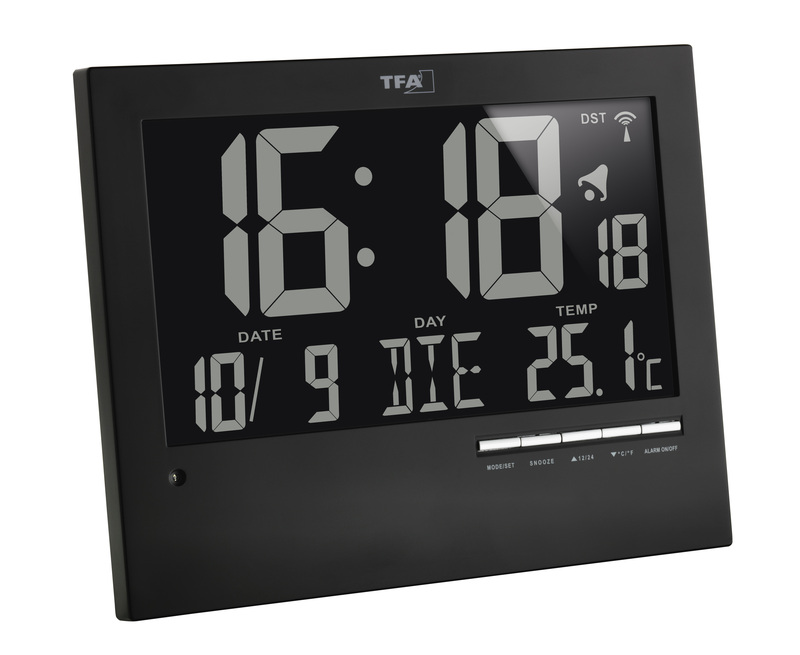 This makes the display easy to read even in the dark. 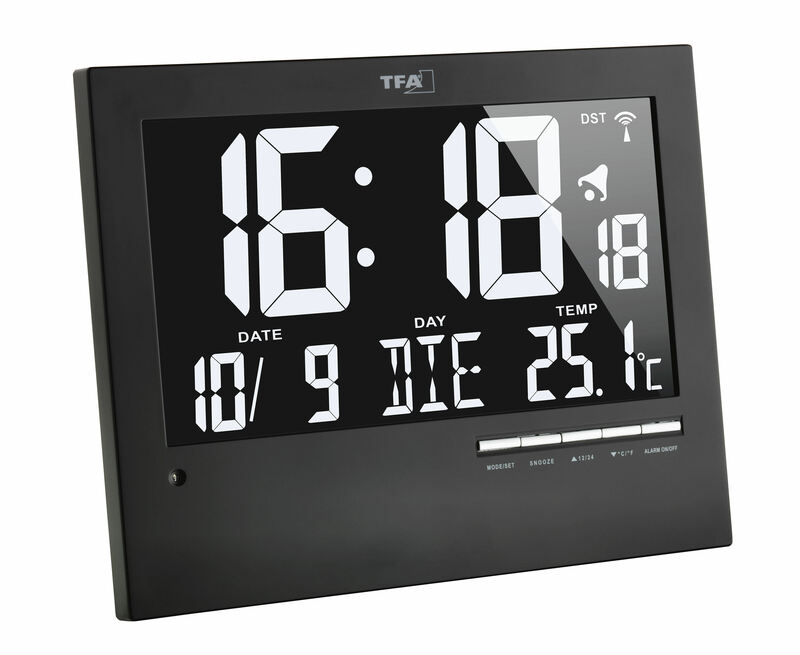 If a power adapter (not included) is used, the display can be also permanently illuminated. 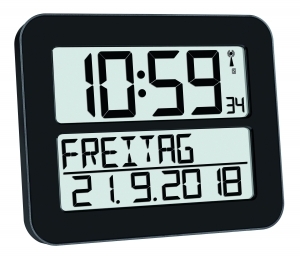 In addition to the time, the date and day of the week are also displayed. 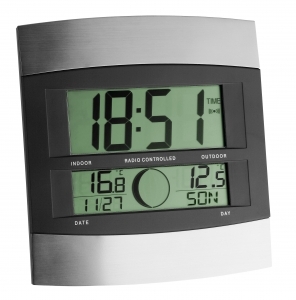 The integrated thermometer measures the indoor temperature, thus ensures a pleasant climate in your living spaces. 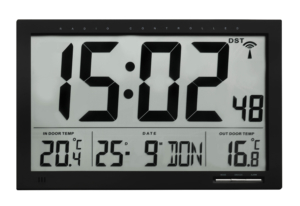 The time is set to exact the second via the DCF77 signal and the change from winter to summertime is also automatic. 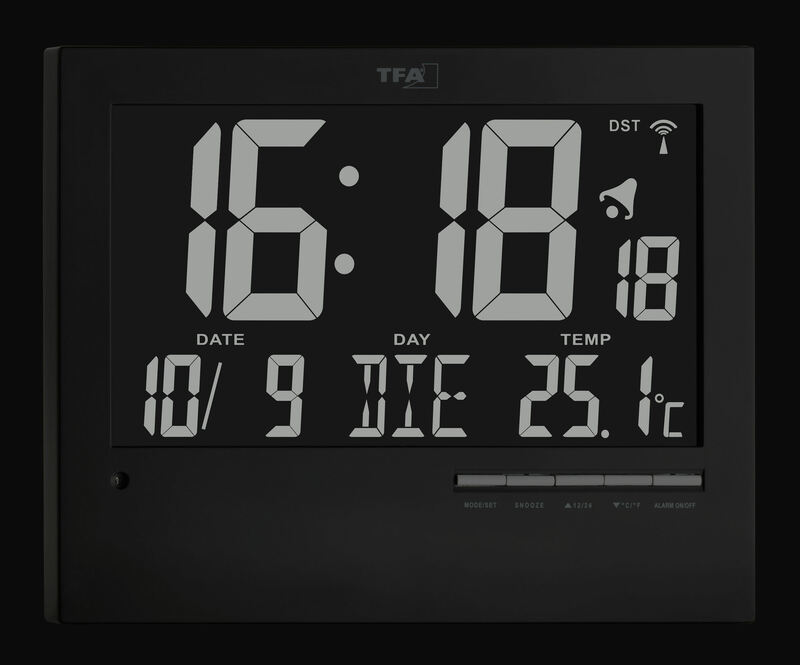 Thanks to its simple and clear design, this radio-controlled clock fits in any environment, whether you prefer it hung onto a wall or use the stand.